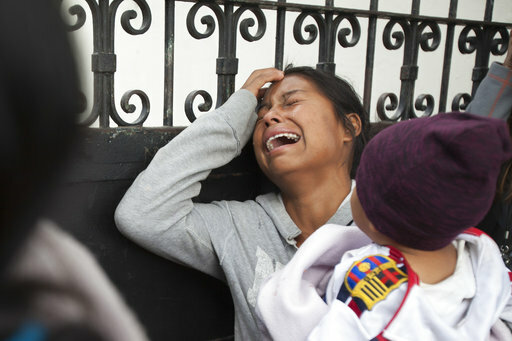 GUATEMALA CITY (AP) — Guatemala’s president called for a restructuring of his country’s youth shelter system following a fire that killed at least 36 girls at an overcrowded government facility for children, while grieving families began receiving the bodies of their loved ones. The shelter outside Guatemala City held some 800 children and mixed victims of abuse with youthful offenders. Relatives and officials said Wednesday’s blaze began when youths set fire to mattresses to protest abuses at the Virgin of the Assumption Safe House. The flames swept through the female section of the facility where some of the girls had been locked inside a dormitory after an escape attempt. “This is a rigid system that has become insensitive,” said President Jimmy Morales, adding that there are 1,500 children in government facilities across Guatemala, the vast majority of whom have families. Morales called for the system to be decentralized. Despite his promises of change, hundreds of protesters gathered outside the seat of government calling for the president’s resignation. 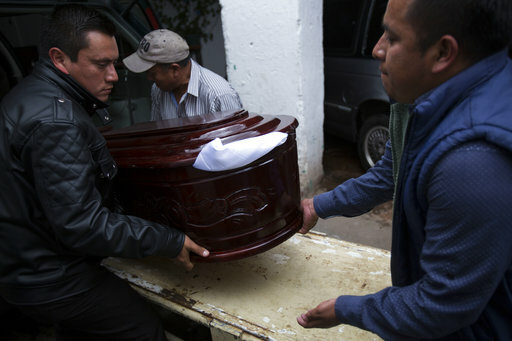 Late Thursday night, in a low-income neighborhood on the outskirts of Guatemala’s capital, relatives and friends gathered for the wake of 14-year-old Madelyn Patricia Hernandez Hernandez. A wooden casket swathed in white silk and flanked by tall candles sat inside the family’s humble home. A picture of Madelyn stood between purple flowers. Madelyn had been orphaned since gang members killed her mother for not paying extortion when she was three years old, said her grandmother, Maria Antonia Garcia. Her father had not been involved in her life. Madelyn had misbehaved, but was expected to get out of the shelter on March 30 after several months in the facility, Garcia said. However, a judge did not want to return the girl to the custody of her 73-year-old grandmother because of her age. Garcia said Madelyn had complained that she and other girls were beaten. Nineteen girls died at the scene of the fire and another 17 later succumbed to their injuries in area hospitals. Geovany Castillo said his 15-year-old daughter Kimberly suffered burns on her face, arms and hands but survived. She was in a locked area where girls who took part in the escape attempt had been placed, he said. “My daughter said the area was locked and that several girls broke down a door, and she survived because she put a wet sheet over herself,” Castillo said. “She said the girls told her that they had been raped and in protest they escaped, and that later, to protest, to get attention, they set fire to the mattresses,” he said. This story earlier corrected the spelling of “Madelyn” in the sixth paragraph.